As preacher Anjem Choudary is sentenced to jail, the home secretary says Britain is safer now he's behind bars. But will he remain a threat within the prison system? 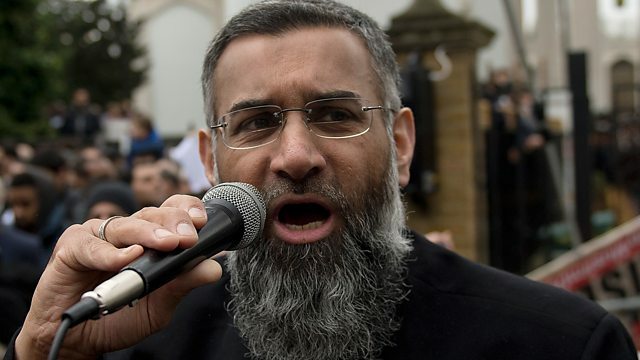 As radical preacher Anjem Choudary is sentenced to five-and-a-half years in jail, the Home Secretary says Britain is safer now the preacher is behind bars. But will he remain a threat within the prison system? We have a special report from Chicago, where the murder rate is spiralling upwards. And as Labour MPs vote to reinstate elections to the shadow cabinet can it help to reunite the parliamentary party or will it sow more division? We'll debate the issue with two MPs. Is it the beginning of the end for Europe's most powerful politician?